The 2016 Swedish Championship in Roller Derby was held in Norrköping. 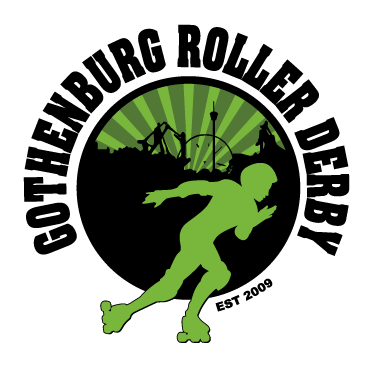 This was the fourth time the Swedish Championships takes place in Sweden and the fourth time Gothenburg Roller Derby was represented in the series. 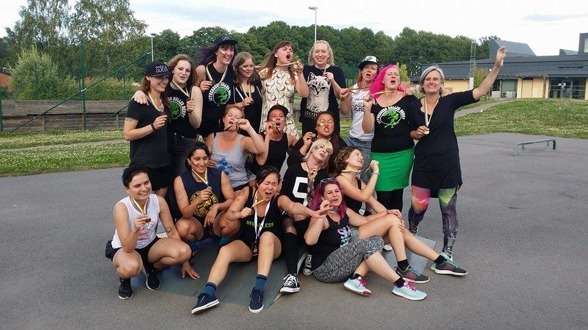 Previous years Gothenburg Roller Derby has ended in fourth place in the championship and have been practicing even harder to claim a medal this year. In Saturday’s game Gothenburg Roller Derby went up against Dock City Rollers, also from Gothenburg. Starting off with a bang Gothenburg took lead first jam and scored the first points of the game. Though playing a hard game and keeping the scores close, Dock City took the lead. and at halftime scores read 109-73 in their favour. The second half both teams displayed really strong walls making it tough for the jammers to pass without hard hitting and smart offence. Though Gothenburg Roller Derby started out strong in the second half, they started to lose ground as the game progressed and couldn’t keep up. Dock City Rollers won the game with the final score of 269-105 and went on to play for the gold. This meant Sunday’s game would be played against Luleå Roller Derby battling for the bronze. Sunday’s game: Gothenburg Roller Derby vs. Luleå Roller Derby. Gothenburg Roller Derby once again played for the bronze in the Swedish Championships, this time against Luleå Roller Derby. First jam Luleå took the lead with Gothenburg Roller Derby close behind, keeping the audience at the edge of their seats. The beginning half of the first period was a nail biter, until Gothenburg Roller Derby stepped up their game and ended the first period with 169-58 in their favour. Second period Luleå Roller Derby came back stronger and both teams had to step up and change up their game shoving off some great offence work for their jammers and jammers pushing them selves even more. Despite their effort, Luleå Roller derby couldn’t keep up and Gothenburg Roller Derby kept the lead and the score difference growing ending the game with 271-117. This meant Gothenburg Roller Derby for the first time brought home a bronze medal in the Swedish Championships! We would like to give a big thanks to everyone cheering for us in Norrköping and from home. Your support is means a lot to us. We would also like to thank Norrköping Roller Derby for arranging this years Championships. Now we are all off to a well deserved derby vacation, but make sure to follow us on Facebook and Instagram to see what we are up to during the summer.